GULF FRONT TROPICAL PARADISE!! Located directly on the beautiful Gulf of Mexico in the popular Coastal community of Redington Shores. Enjoy the white sandy beaches while relaxing on your large covered wrap around balcony. Scenic beach views from kitchen, living room and master bedroom through large picture windows and glass sliders. This spacious 2 bedroom 2 full bath condo boasts tile floors in the kitchen, living/dining room and second bedroom. The master suite has plush carpet and gorgeous glass sliders leading to the balcony. Large walk-in closets in each of the bedroom. The eat-in kitchen boasts plenty of counter space and cabinets for entertaining guests. 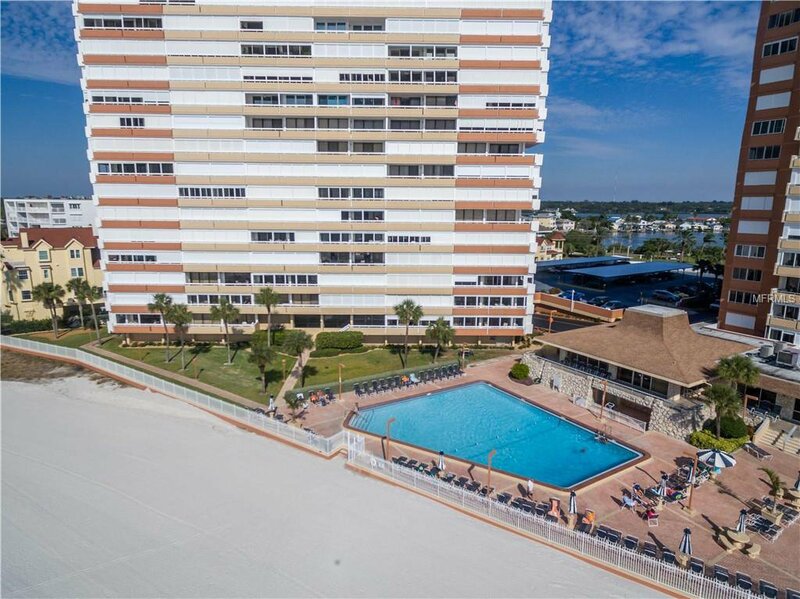 Redington Towers offers many outstanding amenities that include, heated Gulf Side pool, His and Hers Saunas, fitness center and clubhouse. Gated community with 24 hr security. Remarkable views of dolphins and manatees and spectacular sunsets!! Listing courtesy of RE/MAX DYNAMIC. Selling Office: RE/MAX REALTEC GROUP INC.